Welcome to the Elk River Cabin! This is just what you are looking for in a year around, 4- seasonal, mountain getaway retreat! 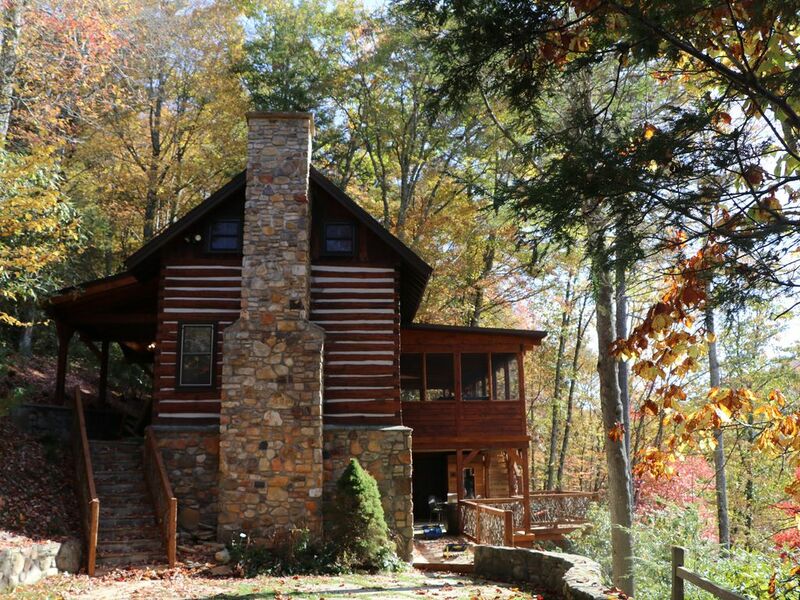 The Elk River Cabin is an authentic log cabin that was originally built in the 1800's in Marion, NC. It was dismantled, with all the logs being numbered, and re-constructed at its current location. It has been renovated to retain it's timeless and rustic charm. The many special features include Twig exterior & interior railings, oak hardwood peg flooring on main level, full masonry stone fireplace in the living room and fully renovated baths. The cabin is located only about half a mile from the stoplight in downtown Banner Elk. Close to restaurants, shopping and festivities, but far enough away for peace and quiet. The cabin is located only ½ mile from downtown Banner Elk and within ¼ mile to Lees McRae College. **Holiday Rates will be charged and a 3 night minimum stay will be required for: Presidents Day Weekend, MLK Weekend, 4th of July Weekend, October & Thanksgiving Weekend. Less than half a mile from Lees McRae college. Ice maker and in door ice and water dispenser. Directly located in-between Sugar Mountain and Beech Mtn ski resorts, within ½ mile to downtown Banner Elk and Lees McRae College.